Richard Holbrook designed the Cabana Club Aluminum Slat Counter Height Stool with comfort and style in mind. Linear and elegant, this Cabana Club Slat Counter Height Stool is ideal for any modern architectural environment, even small spaces. 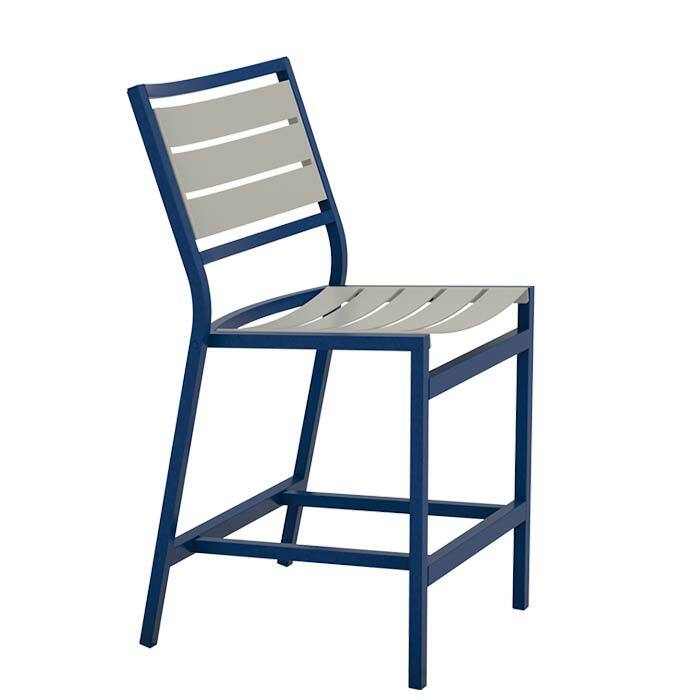 Customize the outdoor counter stool by mixing and matching Tropitone's finish options on the aluminum framing and slats. The Cabana Club Aluminum Slat Counter Height Stool is perfect for any outdoor social setting.